SIPALAY, NEGROS OCCIDENTAL | If you are looking for a relaxing beach resort in Sipalay, I think I know one that you will definitely enjoy. During my 2 week long adventure around Negros Occidental, Sipalay was one place that I did not want to miss. I had heard so much about all the tourist attractions in Sipalay and I couldn’t wait to experience them myself. While planning my trip, I had been searching for places to stay for 2 nights. I was looking for something more rustic and unique and yet within my budget. I looked all over but nothing really caught my attention until I found a place at Sugar Beach Sipalay and that was DRIFTWOOD VILLAGE RESORT. When I found out the price and that they had available rooms, I immediately booked my stay and waited for my time to visit this wonderful city. 1. From Bacolod, take a jeepney with (Libertad – Shopping) and go to South Terminal to catch the aircon bus to Sipalay. 2. 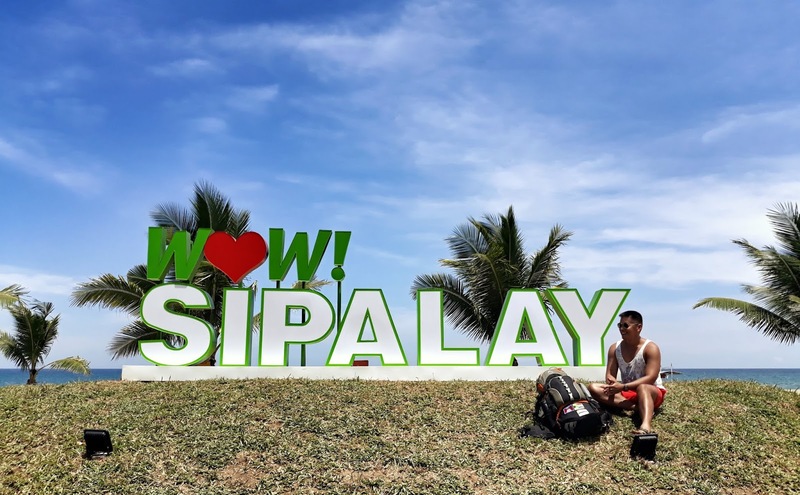 When you arrived in Sipalay, ou can ride a tricycle to this landmark where you can see the WOW SIPALAY sign at Mercedes Boulevard. 3. Make sure to phone the resort to organize a boat pick-up. It is so much easier that way since Sugar Beach is on the other coast of Sipalay. A few minutes after, the boat arrived and off I went to my most awaited destination. The boat ride took us around 20 to 30 minutes to Driftwood Village Resort. As we grew closer to Sugar Beach, I now could tell why I had chosen this place in Sipalay. Most of their rooms are named after some of the endangered species found in the Philippines. I was accommodated in an Eagle room and the moment I walked in, I just fell in love with it so quickly. My Eagle room is located right in the middle of the resort. It’s a room good enough for 2 people. It has a nice balcony with a hammock. The interior of my room was simple but I love the rustic feel. When was the last time you stayed in a nipa hut like this one? This is exactly what I had been looking for. 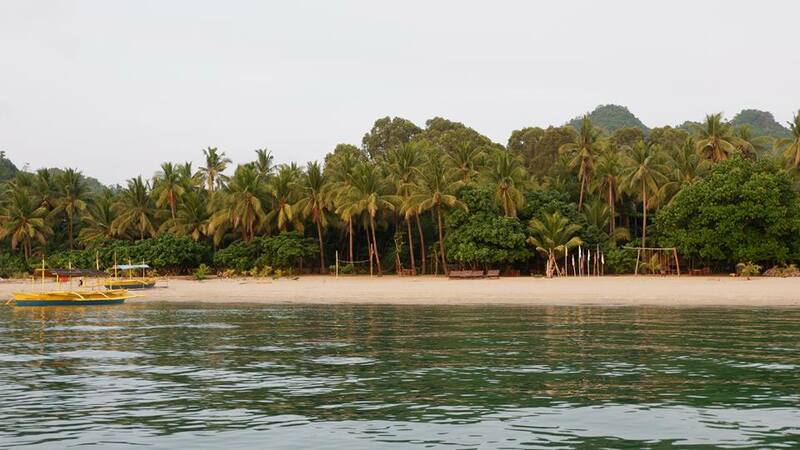 A type of experience that is seldom found but yet exists and one of them is found here at Sipalay. The bed was very comfortable. There is no need for an aircon since it is quite cool in the resort because of the trees. The toilet was very nice and spacious. And what’s amazing was there is a hot and cold shower. Driftwood Village is lush with trees and right in front of the resort, you will find chairs and hammocks where you can just relax all day. Sugar Beach is over a kilometer stretch of white very fine powdery sand. I remember leaving my flops in the room because I just wanet the feel of the sand on my feet. It was so soft and it felt so good. So during the spare time, it was lovely just to walk around the beach and relax under the shade of a tree. The beach is very clean and swimming is pretty good because the water stays shallow. The best way to get here is by boat since going by road can be quite complicated. One thing that made this place magical is the sunset. On a clear day, you will have a nice view of the sunset right in front Driftwood Village Resort. It was amazing and this is one of my favorite times of the day. Just bring my bottle of beer and be captivated by the sunset. A place is never complete without trying out their food – at Driftwood Village Resort, most of the food I tasted was delicious. I love the feel of the dining area because it was so open and the ambiance has a very relaxed feel to it. Get to enjoy the vast selection of local, Asian, European dishes that you will joy. The resort does care for the environment. Apart from the waste segregation, they also don’t use plastic straws. That’s great to hear! This dish took me back to Thailand. The chicken and the sauce were spot on. I also appreciated the little notes they left on my plate. I love pesto pasta and this one is a sure winner. It was very flavorful and with a touch of Parmesan, it was a perfect dish to try. Never miss out a nice and strong brewed coffee in the morning. Plus proper milk. Awesome! One of my favorite snack food was their chicken sandwich. It was so meaty and delicious! My favorite lunch time foodie. Power up your morning with a fruit muesli that will give you the energy you need for the day. It is a mixture of different local fruits, milk, muesli and other energy food all in one bowl. Driftwood Village Resort has beautiful bungalow nipa hut rooms that can cater for solo travelers or big groups. None of these nipa huts are the same. Each one is tastefully done and made completely out of native materials. I walked around and checked the other rooms they have. I love how private and cozy each of the huts look. Inside was very spacious, comfortable and clean. Each room has it’s own veranda and hammock for total relaxation. If there is room that I was really impressed with it was this MYNAH BIRD. It’s a room good enough for two and during day time, you can open the wall up so you could see the beautiful world. It was so unique and one of the coolest room I’ve seen in ages. Some rooms have their own private toilet, but for a cheaper type of accommodation, a common bathroom is available. If you are on a budget or travelling with a big group, you can stay in a dormitory that can fit up to a maximum of 12 people. Sugar Beach is stunning, specially if you are looking for a place where you could totally relax. Choosing Driftwood Village Resort was a great choice during my trip to the City of Sipalay. It’s a place that will exceed your expectations. Staying in one of the nipa huts brought me back in time and it was a great experience. The staff were very friendly and accommodating, it was like home away from home. Driftwood Village Resort is like living in a paradise like no other!